We’re happy to introduce the latest additions to our staff. With the additional capacity for protection, restoration, and legal work, we can keep accelerating the pace of conservation in Minnesota. Haley Golz, Private Lands Restoration Program Manager, is working with our landowners to develop and complete restoration projects on their easements. Haley works directly with landowners to provide technical support and connect them to experts, apply for and administer grants, and manage construction and improvement actions. If you are interested in completing a restoration project on your easement read more about our restoration programs. Haley has a B.A. in Biology from Carleton College and a M.S. in Biology from the University of Minnesota, Duluth. Throughout her academic career she has been fascinated by restoration, whether it be how herbivores affect prairie restoration or how the site of sourcing material affects forest restoration. Before moving to Minnesota, she worked as an Ecologist with California State Parks in the Santa Cruz District to manage and complete restoration projects in a diverse arrray of ecosystems, from black oak forest to coastal dunes. In her free time she is a self-confessed plant nerd who loves exploring the outdoors and identifying every plant she comes across, or at least giving it a shot! 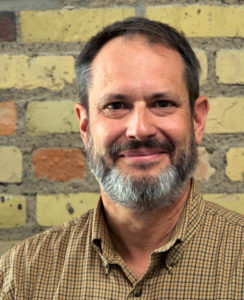 Bill Penning is in a joint position, working with the Minnesota Land Trust and the Board of Water and Soil Resources (BWSR). Prior to coming to the Land Trust, Bill spent 6 years at BWSR in the Reinvest In Minnesota conservation easement program. He spent 20 years with the Minnesota DNR where he mostly worked with programs that help landowners conserve wildlife on private land. Bill has also worked as a natural resource specialist for Scott County, a wildlife biologist for MnDOT, and for the US Fish and Wildlife Service in Alaska. Ruurd has a long career in sustainable development. 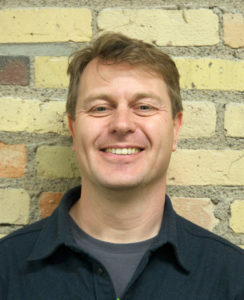 He has a Masters degree in Environmental Policy from the University of Utrecht, The Netherlands and Organizational Management from the College of St. Scholastica. Over the past 8 years he has been working in the Caribbean advising island governments and public agencies on sustainable development. He has worked on sustainable energy, climate change and marine protection. He loves to travel, and in particular enjoys the insider perspective he gets when he is assisting island communities solve problems. Now that his kids are older he loves trying to get them to join him on some more challenging outdoor trips. For example canoeing in the Boundary Waters Wilderness, backpacking on the Superior Hiking Trail, winter camping and bike-packing. The trick is to be flexible with your itinerary, keep it light and simple to keep it fun (and make sure you bring enough s’mores). When he can’t convince his kids to go on an adventure you will likely find him out on the trail running or mountain biking, getting ready for a trail race, marathon or triathlon. He can also tell you all about mountain bike and running options in Costa Rica if that is your thing. 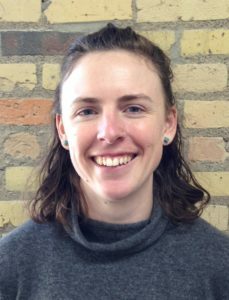 Jocelyn is the Minnesota Land Trust’s newest Staff Attorney. Prior to joining the Land Trust team, Jocelyn worked as an Assistant Corporation Counsel for the City of Chicago’s Law Department in its Environmental Division. As a litigator for the City of Chicago, she prosecuted violations of the municipality’s environmental code and engaged in civil litigation over environmental matters, fraud, contract disputes, and public utility issues. She also has experience in private practice where she focused on various areas of law including real estate, natural resources, and consumer protection. 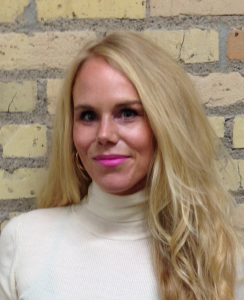 Jocelyn earned a JD and a Master’s in Environmental Law and Policy from Vermont Law School and received a Bachelor of Business Administration from the University of Minnesota-Duluth. Jocelyn is a strong advocate of protecting wilderness and preserving our natural heritage, and takes time to enjoy these areas by going on hiking and camping adventures in Minnesota and throughout the country. See a listing of our full staff here.